They were professors and accountants, dentists and beloved doctors serving their local community. 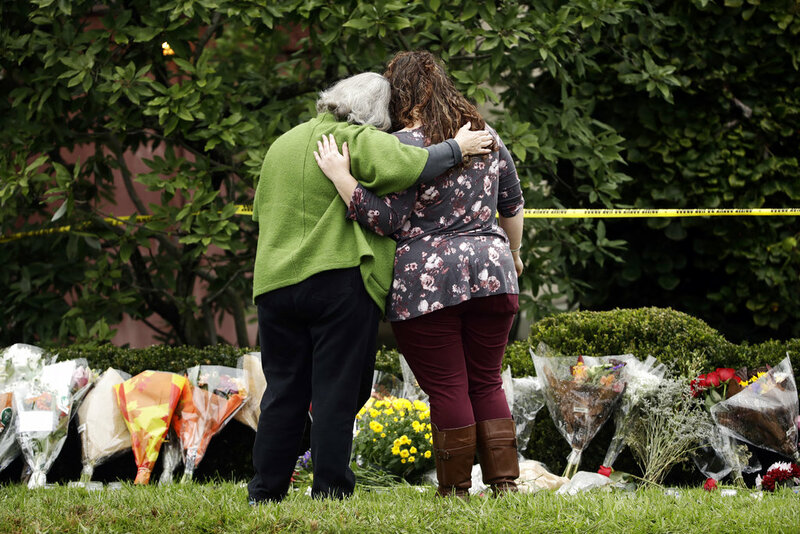 A day after the shooting at a Pittsburgh synagogue that left 11 dead, officials released the names of the victims. The oldest of them was 97. The youngest was 54. They included a pair of brothers and a husband and wife. Melvin Wax was the first to arrive at New Light Congregation in Pittsburgh’s Squirrel Hill neighborhood — and the last to leave. Wax, who was in his late 80s, was among those killed when a gunman entered the synagogue Saturday and opened fire during Sabbath services. Fellow members of the congregation, which rented space in the lower level of the Tree of Life Synagogue, says Wax was a kind man and a pillar of the congregation, filling just about every role except cantor. Myron Snider spoke late Saturday about his friend who would stay late to tell jokes with him. He said “Mel,” a retired accountant, was unfailingly generous. “He was such a kind, kind person,” said Snider, chairman of the congregation’s cemetery committee. “When my daughters were younger, they would go to him, and he would help them with their federal income tax every year. Never charged them. New Light moved to the Tree of Life building about a year ago, when the congregation of about 100 mostly older members could no longer afford its own space, said administrative assistant Marilyn Honigsberg. She said Wax, who lost his wife Sandra in 2016, was always there when services began at 9:45 a.m.
“I know a few of the people who are always there that early, and he is one of them,” she said. Snider said Wax, who was slightly hard of hearing, was a pillar of the congregation, filling just about every role except cantor. He and Dr. Kenneth Ciesielka had been friends with Rabinowitz for more than 30 years, since they lived on the same floor at the University of Pennsylvania. Ciesielka was a few years behind Rabinowitz, but whether by fate or design, the two always ended up together. They went to the same college, the same medical school and even had the same residency at UPMC a few years apart. “Those of us who worked with him respected and admired his devotion to his work and faith. His loss is devastating,” Tami Minnier, UPMC chief quality officer, wrote in a statement on Twitter. Joyce Fienberg and her late husband, Stephen, were intellectual power houses, but those who knew them say they were the kind of people who used that intellect to help others. Fienberg was among the 11 victims of a gunman who entered the Tree of Life Synagogue in Pittsburgh Saturday and opened fire. The 74-year-old spent most of her career at the University of Pittsburgh’s Learning Research and Development Center, retiring in 2008 from her job as a researcher looking at learning in the classroom and in museums. She worked on several projects including studying the practices of highly effective teachers. Dr. Gaea Leinhardt, who was Fienberg’s research partner for decades, said she is devastated by the murder of her colleague and friend. Daniel Stein, 71, was among a corps of the New Light members who, along with Wax and Richard Gottfried, 65, made up “the religious heart” of the congregation, helping the rabbi with anything and everything that needed to be done to hold services, Cohen, the congregation co-president, said. Lauer reported from Philadelphia and Peltz reported from New York. Associated Press reporter Allen G. Breed in Raleigh, North Carolina, contributed to this story.